I decided to 'form' Modulator ESP as an outlet for my desire to produce improvisational electronic music. I compose my music using synthesizers, sequencers and samplers and spend far too much of my time on sound design. 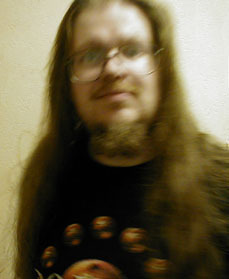 I am into a wide range of music from ambient electronica to thrash metal via all points between and tend to like weird or progressive stuff. I listen to music because it takes me away from the humdrum reality of everyday life and into new worlds of imagination. I play music so I can design my own new worlds of sound. I am happy to include in my musical influences such diverse acts as Airsculpture, Dream Theater, IQ, Jean Michel Jarre, Radio Massacre International, Redshift, Tangerine Dream and Yes. Born December 1968 - Spent childhood living in various places in Lincolnshire and Cambridgeshire moved to Nottingham in 1987 to attend what was then Trent Polytechnic. First album bought - BBC Space Themes - a selection of music from SF and Space TV programs. Earliest musical influences - Dr Who incidental music created by the BBC Radiophonic workshop and music by French composer Jean Michel Jarre, particularly the albums Oxygene and Equinoxe. 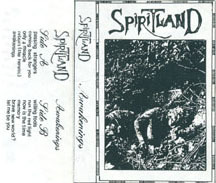 On moving to Nottingham in 1987 to attend Trent Polytechnic, my musical horizons expanded even more and I discovered lots of great bands, including Demon, Hawkwind, Journey, Metallica, Pallas, Queensryche, Saga, Tangerine Dream, Twelfth Night, Yes and loads of other stuff, mostly anything melodic from AOR to prog to metal and all points in-between, usually avoiding anything that could be considered mainstream pop as I preferred music with drama and intensity, experimentation and a wide range of sonic colors. 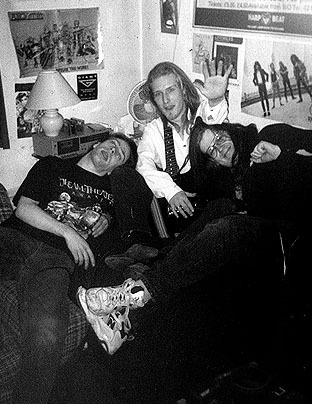 By 1994 I felt I needed to play with other musicians and advertised to try to get a band together. One person who responded was a certain David Waddington - who it transpired I had a lot in common with musically. So we set about writing and recording our first project 'Spiritland' featuring David on vocals, guitars and bass and myself doing the keyboards and drum programming. The whole project was put together very quickly in my bed-sit, using just a 4-track. People we played it to said it reminded them of Rush, Marillion and Blue Oyster Cult, so we were quite chuffed as we both thought these were great bands and definite musical inspirations. Having completed the recording of what became 'Awakenings', we set out to get a band together to perform the songs live. Everyone we had played the tape to had found something in the music that they liked, so it was quite a shock when it transpired that David had sent a copy of the tape off to his musical hero Toyah, who offered him a job playing guitar in her band, leading to rather an abrupt end for Spiritland, and the demise of my first musical collaboration. UPDATE David is now a solo singer and guitarist. Spiritland music is now available for streaming and downloading from Soundclick (click on music to go directly to download page). Time to start looking for other musicians again, this time leading to project number 2, progressive rock band Voyage, this time with myself on keyboards, Simon Rawicz on guitar, Richard Fox on bass, Rob Sheen on vocals and more drum programming this time shared between Simon and myself. At this time we were all heavily into Dream Theater, Rush and Queensryche, all bands playing very technically complex music. So, unsurprisingly we ended up writing music in a similar vein. Our music tended to be of a very 'progressive' nature which, although technically quite demanding with long songs, time changes, poly-rhythms and odd key changes, tried to include contemporary sounds, incorporating techno and dance drum rhythms into a rock format. It took us a long time to find a vocalist who could sing over the instrumental material we had written and we never found a drummer who could come close to what we wanted in the rhythm department. We only managed to play live on 3 occasions and recorded a 4 track demo at Bandwagon studios in Mansfield with the proceeds from one of our gigs. Voyage seemed like quite a good prospect for some kind of success until differences of opinion between Simon and myself led to my departure in 1997. During this period I had moved to work in Lincolnshire, which didn't help matters at all. I am quite sorry that things turned out how they did, as I had high hopes for the band which had actually become ‘Voyage Within’ when we discovered that there had been a French disco act of the same name in the 70’s. I decided to take a break from bands for a while, as I felt disillusioned with playing with other people and need to spend time working on playing and compositional skills. However, by late 1999 I had that ‘itch’ to play with other people once more. I was working in musical instrument retail at the time and decided to go and see a gig by a couple of people I had met through work. They were Dave Davies (who I had sold a drum machine to) and David Atkins (who always seemed to buy his stuff from the competition) and together they were playing as ‘Made in the Shade’. The gig was at Berlins, in Hockley, a fairly ‘trendy’ bar, and was quite interesting. Musically the Shade were a strange proposition, a combination of folk and rock, with some nice synth sounds/fx married to quite strong bass-lines and some very spacey rock guitar. Visually Mr. Atkins put his all into a very theatrical performance, which was probably wasted on what little audience was present, most of whom seemed to be ignoring what was occurring on stage. However, in my opinion they were trying to do too much, with Mr. Atkins not only singing and playing guitar, but trying to get his backing sequences and drum machine going all at once was proving very difficult. 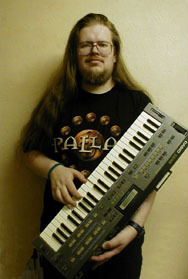 So, afterwards I decided, on the spur of the moment, to offer my services as keyboard player/drum programmer. So began my time with Made in the Shade. Shadowdancer music is now available for streaming and downloading from Soundclick (click on music to go directly to download page). In some ways it could be said that my music seems to have devolved rather than evolved. Or maybe it's just evolved backwards. When I started out making EM it was more in the style of Andy Pickford/ Mark Shreeve, very composed, melodic, rhythmic with lots of layers. This was a sort of side project that I indulged in between being in more prog/ rock oriented band projects (see above). It was never really something I could do live so that was never a consideration. I finally decided to go it alone in 2003 and quit the band I was in at the time. 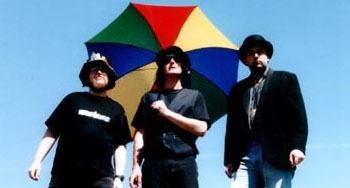 I had also recently discovered that there was more to EM than TD, Jarre, Pickford and Shreeve and discovered bands like Arc, RMI, Redshift, Airsculpture, Arcane, STDM etc that were doing a more retro-styled improvisational take on EM, which came as quite a revelation to me, as one of the reasons I'd left the band I was in was that I was tired of the endless rehearsals and want to do something a bit more freeform. I knew I still really wanted to play live and I also knew I didn't want to play along to pre-programmed, structured backing tracks, so my original style was definitely out. Also around this time I discovered the Arturia Moog Modular V (a software emulation of the old Moog Modular IIIc as used live by bands like Tangerine Dream in the mid to late seventies and nowadays by Redshift) and found that I loved playing with the sequencer on it. I only had the demo, but I liked it so much I went off to my local store to purchase a copy. When I got there I found that a friend who I'd recently shown it to had only just been in and bought the last copy, so I ended up with a Nord Micro Modular (a hardware emulation of a modular synth) instead. I got into playing synths because I loved the electronic/ synthetic other worldly nature of the sounds so Ambient/ Berlin School EM is probably the best style for me. I'll probably stick with it, but hopefully stretch the boundaries a little as I get more proficient and incorporate some more of my progressive influences. This interview was for a local music magazine/website/promoter prior to my first appearance at the Orange Tree with Formication on the Monday 19th January 2006. When did you begin to record as Modulator ESP? Well, I have been recording bits and pieces in between playing in bands since the early nineties, though I didn't actually decide to use the name until about 2001. It was then I compiled my first proper solo album Random Fluctuations out of the best stuff I'd produced over the previous five or so years. More recent albums as Modulator ESP have all been recordings of improvised gigs. I'm just about to start work on my second studio album, if I can ever make the time. How would you describe your style to new punters? A mixture of dark ambient, '70s electronic music (Jean Michel Jarre/ Tangerine Dream) and prog rock (Rick Wakeman). To people who don't know the music of the artists mentioned I'd say it was spacey instrumental music, the sort of music they would play in planetariums. So what exactly is this experimental synth project? A 'get out clause' so that I can do different things when I want to without getting labelled as one particular style. Also a way to get round the one small problem I discovered after choosing to call my project Modulator, that there is an American pop/rock band who have been using it slightly longer. What instruments and kit do you use to create the music? I use analog and digital synthesizers in combination with analog style step sequencers that allow real time interaction with the sounds and the rhythmic parts enabling me to improvise more freely. Tell us about the other bands you've been in during your time in Nottingham? I've been in three 'bands' in my time in Nottingham: Spiritland was a studio project with a guitarist called Dave, we made a tape and then he left to play with Toyah, she dumped him after the tour and he lives down somewhere down South. 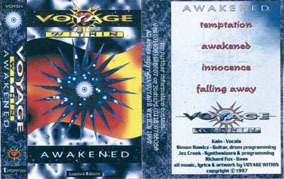 Voyage Within was an obscure 'prog' band. We did three gigs, very weird, complicated music in all sorts of odd time signatures. We had terrible problems with drummers and vocalists and were an instrumental band for most of the time we were together. I left due to 'personal' differences. 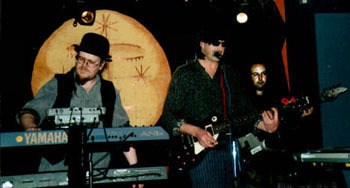 Made in the Shade/ Shadowdancer was the last band, doing quirky melodic rock/pop, with another two guys called Dave, we did lots of gigs around Nottingham and even one in Derby, again without a drummer. I left to do my own thing, which turned out to be the current project and I'm also in another band called Astrogator with a chap from Manchester. If you could get anyone in to hook up on a track, who would you choose? I'd quite like to do some stuff with a guitarist, someone like a young Dave Gilmour or Robert Fripp, into more textural stuff. What other music in Nottingham are you feeling? Not a lot really, there doesn't seem to be anyone doing the sort of stuff I'm into in the city these days. I mostly go to gigs up in Leeds or at the National Space Centre at Leicester. What other music are you feeling generally At the moment, I'm listening to lot of pretty obscure electronic music, stuff by Steve Roach, Stephen Parsick/ ramp, a band called Node etc. What's your idea of a good night out in Nottingham? On a night out I generally prefer the rock end of the music spectrum, so I like the Tap and Tumbler for a drink and then on to Rock City. Do you follow County of Forest? Neither, I'm afraid I've never understood the appeal of *expletive deleted*. Who is your ultimate Nottingham hero? After much deliberation I'd have to say Richard Beckinsale, he was funny and it was tragic that he died so young. What was the last thing that made you laugh? Marvin the Paranoid Android shooting the Vogon soldiers with the Point Of View gun at the end of the Hitch-Hiker's Guide to the Galaxy movie, leaving them all collapsed on the floor moaning about how depressed they were. Sad to say that was probably the funniest bit of the film. You're into your films then. What have you seen recently? I went to see King Kong on my birthday, fantastic, made me laugh and cry and even feel a bit sick. I've just watched The Hitchhiker's Guide to the Galaxy on DVD. I couldn't bring myself to see it at the cinema after reading a review that slated it, I'm a huge fan of the books. It was an interesting experience, with great visuals, but I felt it suffered from superfluous additions to the plot, crap characters and the wanton removal of all Douglas Adams jokes. I did laugh occasionally though, the POV gun amused me. What was the last book you read? Batman Year One, graphic novel by Frank Miller, an extended take on the Batman origin detailing his first year as a fighting crime and corruption in Gotham City. What can we expect from your gig at the Orange Tree? Depending on time, one or maybe two quite long evolving improvised pieces, with some weird abstract bits and some more rhythmic, melodic bits. There are several good examples of live sets available from my website, including one recorded very early on New Years Day which was streamed live around the world. Is there any question that you really wish we had asked you..? No, these have been pretty comprehensive. All photos and artwork by Jez Creek unless otherwise stated.